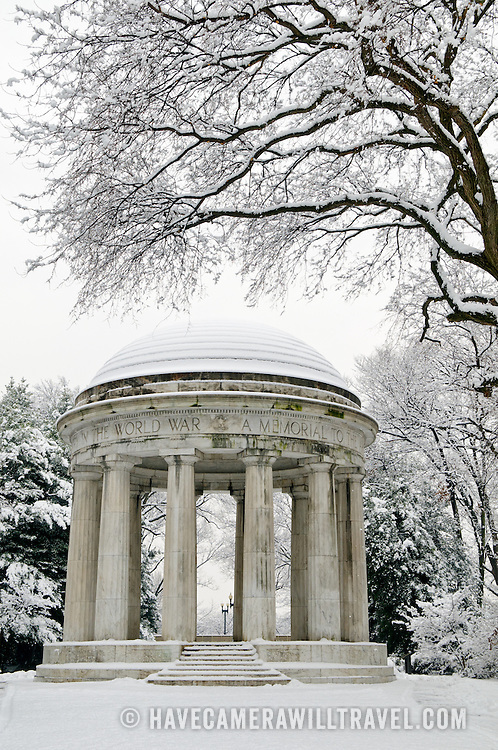 The World War I Memorial on Washington DC's National Mall after a big snow storm. The World War I Memorial is the only city-centric monument on the National Mall. It’s dedicated to the 26,000 or so Washingtonians who served in World War I and is sometimes referred to as the DC War Memorial.